P&O Ferries has a long and famous history upon the seven seas, with decades of maritime history ferrying millions of people in style. 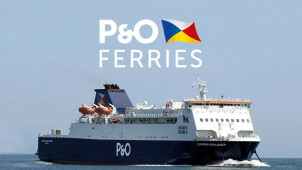 P&O Ferries is a household name that is based in Dover, UK and conducts services the English Channel, North Sea and the Irish sea with a fleet of over 20 ships whilst employing almost 4,000 employees. Every P&O ferry is proud to offer a comfortable club lounge where you can sit back and experience the journey in relaxation if you wish. P&O Ferries offer a wide range of eating options so that you can enjoy some fine cuisine whilst sailing. If you plan on doing some travelling at your destination you can also take your car with you on the ferry so that you hit the ground driving. You are also free to take your bike with you if you prefer pedal power to petrol. Booking a ferry with P&O in advance is super simple, and guarantees you the best price whilst offering you many different ticket types. With over 20 sailings a day you are sure think of somewhere great to go. How do I use my P&O Ferries promo code? If the idea of popping over on the ferry regularly is attractive to you, then consider a P&O season ticket. Save money at a discounted rate and experience the fun of a P&O journey often! Do I need my email confirmation or do I just need the reference number to travel with P&O Ferries? You only need your booking reference number sent to you via email. Can I pre-book my P&O Ferries meals before I travel? You may if you are sailing the North Sea route. Please select the option to add meals at the payment stage online. Is there duty free onboard a P&O Ferry? Yes there is. Get up to 40% off normal high street prices. All your information including booking numbers and confirmation will be sent to your email. You can also write to P&O Ferries at this address. You can cancel your booking with P&O Ferries but the size of the refund depends on the booking. Click here to find out more information. P&O Ferries offer a premium set of routes from Ireland to range of interesting destinations. If you fancy enjoying yourself on a journey, use our P&O Ferries discount code to get where you want at a great price. With a range of facilities, you can make your trip across the seas a charming journey for you, your friends or your family. At unbeatable prices, hop aboard a P&O Ferry and set sail! Did you know that a P&O Ferries is much more than just a way of travelling from A to B? All P&O ferries offer an excellent selection of varied food cooked by well trained chefs for your pleasure. From classic cooked breakfasts to yummy fish and chips in the Food Court, to finely cooked fish or authentic curries in The Brasserie, a P&O’s Ferry has your stomach covered. Book a trip to Liverpool soon on a P&O ferry and experience the vast cultural attractions that it has to offer. Use our P&O Ferries voucher code and set off from Dublin and visit the internationally famous Cavern where the Beatles first played, peruse its world class museums, and cheer along Everton at Goodison park. P&O ferries offer a luxurious trip at unbeatable prices - book a journey today!